Not only is corporate travel one of the biggest controllable spend categories for a business – it is also one of the most emotive. Meeting the needs of your high flyers as they take to the skies while still accommodating the practicalities of cost savings and compliance can be a delicate balancing act for any board. Despite advances in teleconferencing and the normalisation of FaceTime, the value of true human contact has never been greater. The Centre for Economics and Business Research (CEBR) found that taking time out to connect with people is worth approximately £193bn (€219.1bn) to the UK economy every year. 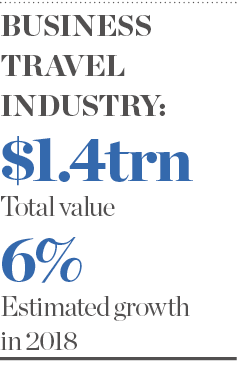 The business travel industry, meanwhile, is valued at $1.4trn (€1.1trn) and, according to the Global Business Travel Association, is set to grow more than six percent in 2018. It’s no surprise, then, that a significant 82 percent of businesses believe travel plays an important role in driving their performance. At the top of the return on investment charts are new business sales. For businesses that are reporting a growth in revenue as a result of face-to-face meetings, 36 percent came from new business – showing just how critical face time can be in closing a deal. While the returns generated by business travel may be clear, the best ways to keep people safe and happy – without breaking the bank – have become clouded by complexity. After all, not all travel policies are created equal. Perhaps this is why the voice of the traveller is increasingly heard reverberating around boardrooms, pushing for policies that feel more aligned to their leisure experiences. Despite its huge business benefits, corporate travel is, at its heart, personal. Travellers are spending time away from their home, their friends and their family. For those who are regularly on the move, where they sit on the plane and whether or not they are going to get their air miles matters. What’s more, getting under the skin of what employees want when they’re on the move helps improve their work performance and can inspire loyalty when competitors come knocking. Simple additions, such as lounge access, the ability to travel in business class and the flexibility to stay an extra day to take in the local culture, can make all the difference to the appeal of a benefits package. Top talent has always been in high demand, and recent surveys suggest finding the right people is one of the greatest challenges faced by modern businesses. With work-life balance now ranking among the top priorities for candidates, travel policies have taken on a new level of significance. If the way in which a business manages its travel policy has a direct impact on its ability to attract and retain talent, then CEOs have an ongoing challenge when it comes to marrying rising expectations with continued pressures to cut costs. For many, a good work-life balance is simply about being able to get the job done to the best standard in the smallest amount of time. As such, there is a commonality to the frustrations we hear from travellers: don’t make me wait at the airport, give me the best flight times so that I can reduce my days away from home, and make sure I have decent Wi-Fi so that I can actually work. Also rapidly climbing the wish list is a suitable meeting space. Business travellers are time-poor, which often means tight schedules, jam-packed with high-value meetings. As a result, independent hotels are rising in popularity. Not only do they offer something more personal, they also have the agility to negotiate on price. Further, independent hotels tend to boast features like destination bars, which can hold significant sway for someone who has a short space of time to accommodate numerous meetings. Productivity rises and expenses fall if you can cut back on the time spent travelling in taxis to find suitable places to host your guests. By understanding what works for your travellers, you can build a truly tailored policy, providing the experience they desire while mitigating other risk factors, such as escalating cost or traveller safety. Whether travellers are booking with an agent, an online tool or on their smartphone, a flexible policy engine is key to ensuring that the experience is personalised; if you want compliance, travellers need to feel listened to. This is a mantra that sits at the heart of Reed & Mackay’s relationship with its high-performing client base. Balancing cost control and compliance with the ever-changing expectations of today’s business travellers isn’t easy. And not every business has the luxury of a travel manager, who can focus exclusively on this area. For many businesses, travel forms as little as 10 percent of a procurement or facilities director’s role. Strong data visualisation tools can go a long way to highlighting strategic insights for time-poor executives. Our business intelligence platform, R&M/Insights, is designed to shine a light on the aspects of a travel programme that need board consideration. For instance, we’ve noticed that our clients are increasingly requesting greater visibility of where and why their employees are travelling. This is because the destination has a direct impact on the income tax due following the trip. But the risk of underperforming policies isn’t just financial. Beyond health and safety legislation, looking out for your staff is simply the right thing to do. At Reed & Mackay, we work closely with our clients to bring together the different areas of their business that touch on traveller safety, from HR to risk management. This ensures all aspects are covered in the travel policy, protecting both the employer and employee. More recently, we’ve seen new, traveller-focused technology come into play, which helps to manage personal safety right down to the geo-coded street level. Our travel risk platform, R&M/Protect, provides boards with instant visibility of their travellers’ whereabouts in case of an emergency. Additionally, it delivers tailored risk intelligence and briefing reports straight to the traveller’s smartphone via Reed & Mackay’s app. A new feature on the app also lets businesses help their travelling employees play an active role in their own safety. 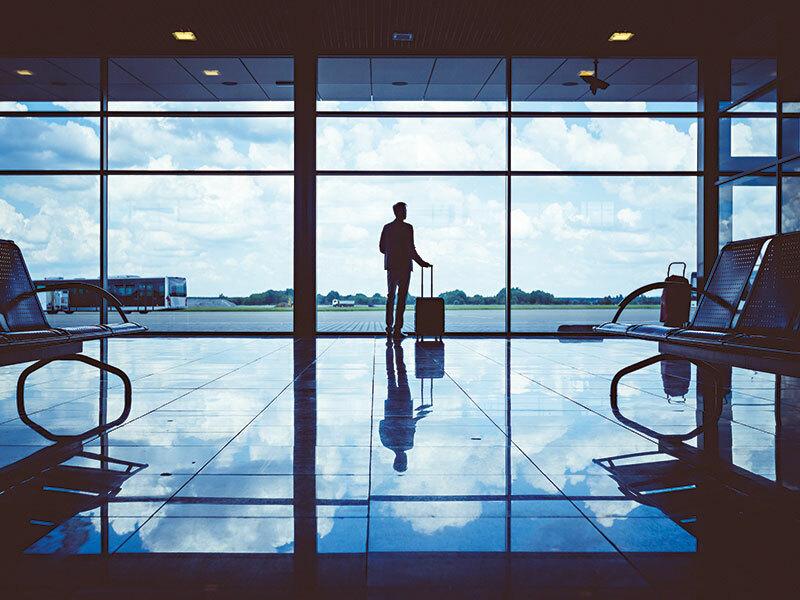 Business travel may be an emotive area, but keeping pace with changing traveller expectations via personal touch policies and consumer-grade technologies can attract, retain and protect talent, while also protecting your company’s reputation and bottom line.